Soft drink makers are turning to natural and low-cal sweeteners. Sugar’s popularity with soda makers is soaring as the companies are scrambling to find alternatives to high fructose corn syrup, Supermarket News reports. 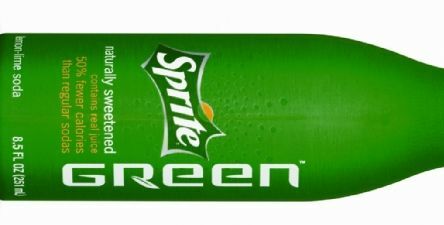 For example, PepsiCo’s Sierra Mist Natural uses sugar, while the sweetener is mixed with stevia extract in Coca-Cola’s Sprite Green, a low-calorie version of Sprite. Other sugared carbonated sodas include Pepsi Throwback, Mexican Coke, Mountain Dew Throwback and kosher Coke. Once upon a time, most soft drinks were sweetened with sugar. Three decades ago, high fructose corn syrup rose in prominence as sugar tariffs and quotas upped the price of imported sugar. High fructose corn syrup retains its spot as the most commonly added sweetener in processed beverages and food because of the ease in blending and its low cost, said Audrae Ericson, president of the Corn Refiners Association. However, a growing number of consumers don’t want to consumer high fructose corn syrup, said Harry Balzer, vice president of the NPD Group. A Mintel poll found that nearly six in 10 consumers (59 percent) think that high fructose corn syrup is bad for health and that real sugar should sweeten soft drinks.